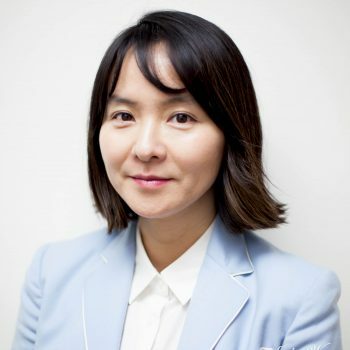 KCSC’s Executive Director, Ji-Young Cho, holds a master’s degree in Family Studies from Seoul National University, Korea and a doctoral degree in Public and Community Health from the University of Maryland in College Park. Dr. Cho has an advanced-level skill set in public health policy, program planning, and evaluation. She has extensive experience with serving the Korean community and more than 10 years’ experience managing and sustaining various projects successfully. Dr. Cho joined KCSC in 2008 and worked previously as KCSC’s Director of Programs. She became KCSC’s 6th appointed Executive Director in August, 2010. Dr. Cho provides administrative and financial oversight to the organization and overall programmatic supervision. In 2011, Dr. Cho was selected by the Korea Times (one of the most influential Korean newspapers) as one of the “Korean 30”, for her selfless contribution to society and outstanding performance in the field of health and human services. Jai Hoon Jung joined KCSC in November 2006. He is KCSC’s Administrative and Financial Specialist and is responsible for all day-to-day administrative and financial matters for the agency. Mr. Jung holds a Master in Network and Communication Management with a concentration in Project Management from Keller Graduate School of Management. In July 2017, Jai was promoted to position of Director of Finance. Kate Hilton-Hayward joined KCSC as the Director of Development in May, 2014, having previously served as a consultant to the agency since 2006. Ms. Hayward has worked in the field of U.S. immigrant and refugee integration for more than twenty-five years including over fifteen years with the U.S. Committee for Refugees and Immigrants. Ms. Hayward is responsible for leading KCSC’s advancement program as adopted by the Board of Directors. In addition, she designs, implements, and manages all fundraising activities, public relations, and marketing plans for the agency. Ms. Hayward was educated at Cheltenham Ladies’ College in England and Barnard College, Columbia University in New York City, where she received her Bachelor of Arts. In 2017, she completed a Bachelor of Science in Psychology from the University of the District of Columbia. 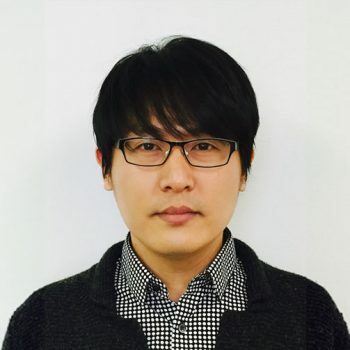 Pyowook Han joined KCSC in February 2015 as the Director of Programs. He is primarily responsible for overseeing KCSC’s programs and services, including the Social & Immigration Program, Health Promotion Program, Family Enrichment Program, Senior Empowerment Program, and Educational Program. 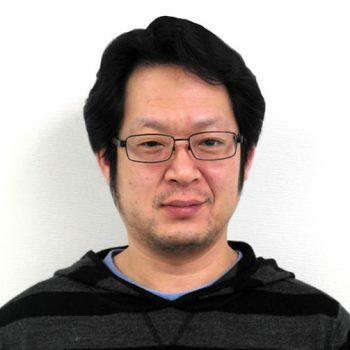 He is also a member of KCSC’s Development Team. Mr. Han received his Master of Social Work from Ohio State University and served Asian immigrants in Columbus OH from March 2009 to January 2015. Soo Jin Kim joined KCSC in 2005 and is the Domestic Violence Program Coordinator and Maryland Office Branch Manager. Ms. Kim provides comprehensive case management for survivors of domestic violence and their families and function as a bridge to domestic violence related agencies, programs, many other resources in the community. 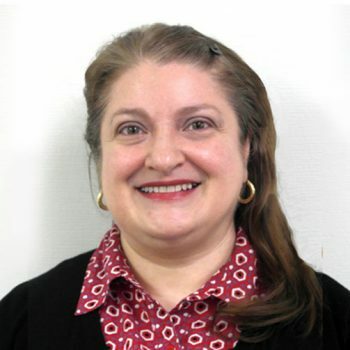 She also manages the Gaithersburg branch office business. Ms. Kim holds a Master of Social Work from University of Illinois, Urbana-Champaign. She is also certified as a parenting education provider in Virginia and a licensed social worker in Korea. 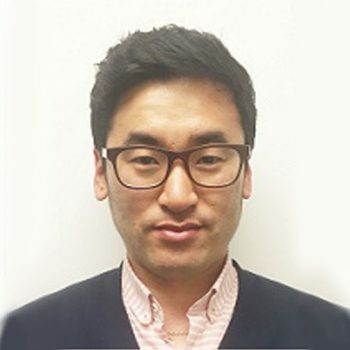 Daehyeon Choi serves as a Social Service Coordinator and is a Maryland Health Benefit Exchange Counselor, consulting with clients about affordable health insurance plans and assisting them to get health insurance subsidies based on their household number and annual income. He joined KCSC in February 2016. He has a bachelor’s degree in Regional Infrastructure Engineering with a focus on Environmental Modeling using Geographic Information Systems (GIS) in Korea. He also received a Certificate in Geographic Information Systems from Northern Virginia Community College. Youngeun Lee joined KCSC in August 2013. As a Social Service Coordinator, Ms. Lee provided general social services from need assessment, plan, implementation, and make referrals to local resources and organizations. She also works as Job Project Coordinator, trying to enhance collaborative partnerships with local agencies and corporations to host job fairs for potential job seekers while assisting them individually based on their needs and previous experiences. Ms. Lee graduated from the University of Pennsylvania, School of Social Work and Social Policy, with a concentration in Macro Social Work. She became a Licensed Graduate Social Worker (LGSW) in 2014. 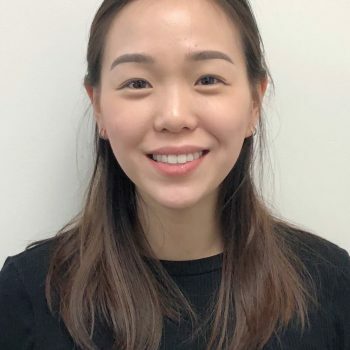 Christine Kim joined KCSC in October 2018 as a Health Project Coordinator. In January of 2019 she gratefully accepted the position of Development Coordinator. 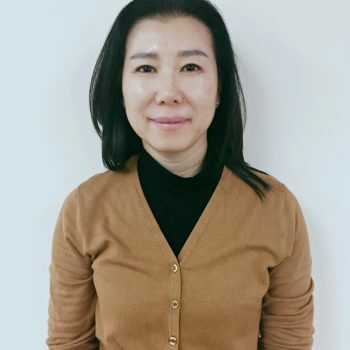 Under the supervision of the Director of Development, Ms. Kim helps to bring in resources for the agency through prospect research, grant writing, community outreach, donor relation maintenance, and other fundraising activities. She supports strategic development planning made in conjunction with the Development Team, the Fundraising Committee, and the Annual Banquet Committee of KCSC’s Board of Directors. Ms. Kim received her Bachelors of Science in Human Nutrition, Food and Exercise and minored in psychology at Virginia Polytechnic Institute and State University and enjoys her free time exercising and serving in church ministry at Grace Covenant Church Korean. Misuk Hare has joined KCSC in October, 2017 as a domestic violence project coordinator. She provided case management and community outreach to the Korean community. On July 1 2018, she began working as a health project coordinator. She coordinates KCSC’s health projects by facilitating Grace Community Clinic for uninsured and low-income individuals, KCSC’s Annual Health Fair in VA and MD, dental services through Pro Bono Dental Service and Free Dental Service (Hope For Tomorrow), line dance classes to low-income seniors, semi-annual Hepatitis B/ Hepatitis C prevention projects, and health literacy educational seminars. Before she joined KCSC, she worked at Fairfax County Public School as a parent liaison and Korean interpreter for 10 years. 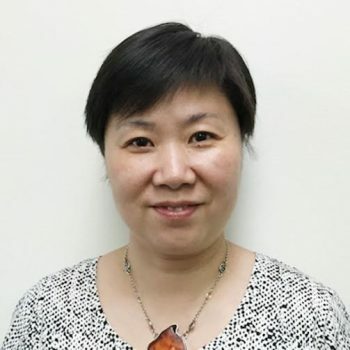 Yesle Soh joined KCSC in February 2019 as the Health Project Coordinator overseeing Virginia and Maryland. She provides information and referral services for primary health care to uninsured or underinsured individuals. 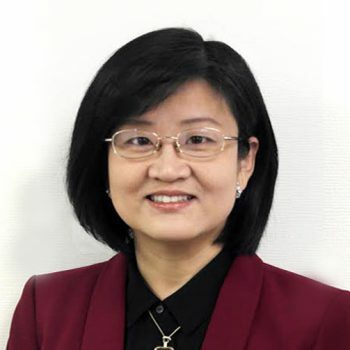 Ms. Soh attended Virginia Polytechnic Institute and State University, where she graduated with a Bachelor of Science in Biochemistry and minored in Chemistry. She plans on continuing her education in Public Health to help bridge the gap between minority communities and the national healthcare system. In her free time, she enjoys practicing yoga and staying active through various sports. Haley Huang joined KCSC in April 2016 as a “Home Sweet Home” Project Coordinator. She is responsible for outreach to the Chinese community and for providing educational workshops on healthy marriages and relationships. While working in the human resources department of a private company in China, Ms. Huang discovered that she liked to help Chinese families solve their relationship problems. She started her own successful marital counseling business and in 2012, she received her Chinese certification as a marriage counselor. 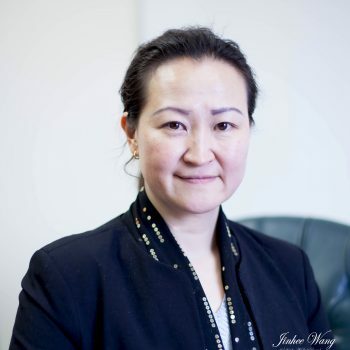 Ms. Huang came to the United States in December 2014 and, prior to joining KCSC, continued her work with couples and families in the Chinese immigrant community. Ms. Huang is certified by the Gottman Institute in Level 1 and Level 2 of the Gottman Method Couples Therapy. She is also a certified Positive Discipline Parent Educator. In her spare time, she loves reading and international cuisine. Hyun Sun Park joined KCSC in January 2018 as a Social Service Coordinator, primarily working in KCSC’s Silver Spring Office. She has Bachelor’s degree in Business Administration and Marketing from Sungshin Women’s University in Seoul, Korea. Ms.Park has had an 18-year career as an editor of a wide variety of publications including magazines, newspapers, and books. Most recently, prior to coming to the United States, she served for eleven years as the chief editor and manager of marketing for a large publishing company. 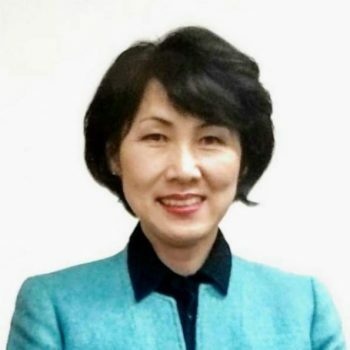 Now she has proudly chosen to commit her time to helping Korean community members, focusing particularly on the needs of Korean elders living in the vicinity of the Silver Spring office. Mihyang Um joined KCSC in December 2016 as a “Home Sweet Home” Project Coordinator. She provides married couples with educational workshops on how to develop healthy marriages and relationships. In addition, she is responsible for KCSC’s Premarital Program and an annual Family Camp. She used to work as a technical specialist for a patent law firm in Korea and later was a chemistry tutor at A-plus Science World, also in Korea. She studied Science Education with a concentration in Chemistry at Ewha Womans University. Kwangsuk Hutchinson joined KCSC in July 2016 as a “Home Sweet Home” project coordinator. She is responsible for the implementation of the family camp and premarital and couples education for the Korean community. Mrs. Hutchinson worked at Fairfax County Public Schools as a parent liaison and Korean interpreter for 11 years. Mrs. Hutchinson has a passion for working with couples to help them become the happiest, healthiest couples they can be. Sung Eberhardt joined KCSC in October 2017 as a financial assistant supporting KCSC’s Director of Finance in the areas of payroll, petty cash, and the tracking of income and expenses. Mrs Eberhardt graduated from University of Maryland University College with a major in Accounting and a minor in Business Administration. She also registered as an Enrolled Agent. Mrs Eberhardt previously worked at Osan Air Base in Korea and spent over five years working in two different positions in the accounting department of the 51st Services Squadron Non-Appropriated Fund. 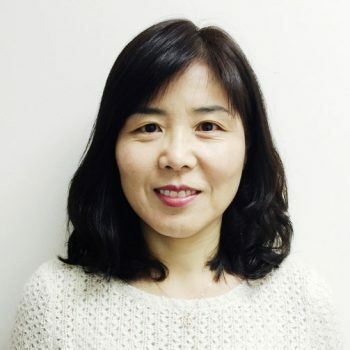 MiJeong Ko joined KCSC in June 2018 as a Senior Empowerment Project Coordinator running KCSC’s Maryland Senior Academy as well as serving victims of elder abuse and domestic violence. She works at KCSC’s Gaithersburg branch office two days a week and at the Silver Spring branch office three days a week. Ms. Ko completed a Bachelor of Social Work and a Master of Social Work at Delaware State University. As part of her training, she interned at CHEER Inc.-Harbour Lights Senior Activities Center and in the Bereavement Department of Delaware Hospice, Inc. 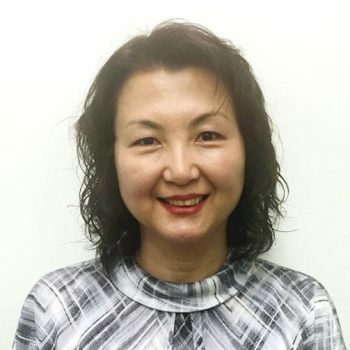 Previously, she worked as a reporter in print media, a reporter and announcer in radio broadcasting, and as the Director of Communication and Publications for Delaware Korean United Methodist Church, where she edited and published numerous publications. 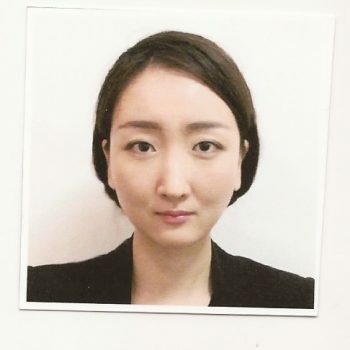 Trained as a middle and high school educator, Ms. Ko taught at the Sanji Girls’ High School in Wonju, South Korea for several years prior to immigrating to the United States. Thanks to a strong Christian upbringing, Ms. Ko grew up learning that honesty, empathy, and sensitivity towards others are important aspects of life and she finds that her positive mindset has greatly helped her in her work with seniors and victims of domestic violence. Shinyoung Park joined KCSC in February, 2017 as a Senior Crime Project Coordinator for the Korean community. Ms, Park is responsible for providing education about elder abuse, identity theft, and other crimes affecting Korean seniors. She also provides direct case management for victims of elder abuse. 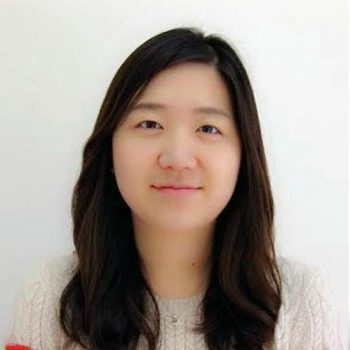 She received her Master of Social Work from Ewha Womans University in 2015 and her Master in Public Administration, with a concentration in nonprofit management, from Grand Valley State University in 2016. She completed her practicum at the Family Advocacy Program of the U.S. Army Garrison located in South Korea. She also has experience as a board member of nonprofit organizations supporting Korean-American communities. April joined KCSC in August, 2017 as the Domestic Violence Coordinator for the Chinese community. She completed a Master of Social Work at the Catholic University of America in 2017, with a combined concentration, integrating clinical work with a macro component (social change). Her previous field experience includes working in disaster relief, immigration services, policy research, and nonprofit program development. You Sin Kim joined KCSC in February 2018 as a Domestic Violence Project Coordinator, specifically focusing on KCSC’s transitional housing support project for victims of domestic violence and their children. Ms. Kim provides rental assistance, case management, supportive services and follow up for DV clients. Ms. Kim graduated from Seoul Jangsin University with a Bachelor’s degree in Social Welfare and received her Master of Social Work from The Graduate School of Social Welfare of Ewha Womans University, Korea. Ms. Kim worked at the national headquarters of the Community Child Center, supporting over 4000 centers throughout Korea. She has more than 400 hours of field practicum experience on the social work teams of Severance Hospital and National Cancer Center, Korea. During her graduate studies, she was also a research assistant, examining the adjustment of families adopting older children. Ms. Kim is a licensed social worker in Korea. She enjoys spending time with her family and teaching Sunday school at her local church. Siena Lee is a recent graduate of Virginia Commonwealth University with a Bachelor of Social Work. She successfully completed two internships – one at the International Rescue Committee and a second at Mental Health America of Virginia – serving refugee clients and promoting mental wellness. She joined KCSC in February, 2018 as a DV Project Coordinator. Ms. Lee provides case management and community outreach to the Korean community in Maryland. She likes to use her spare time playing with two kitties, Lullu and Lalla. Michael O’Neill joined KCSC in January of 2018 as the Youth Project Coordinator. For over twenty years now, since his time as a student at the University of North Texas where he earned his Bachelor’s degree in Sociology, Mr. O’Neill has been helping Asian students acclimate to life in the United States. Some of his past projects include assisting international students find affordable off-campus housing, helping international students integrate comfortably into American university life, and teaching language and communication skills to young people from all over the world. After graduation, Mr. O’Neill spent the next 14 years living and working in Busan, South Korea. There he worked with high school and college students who were interested in immigrating to the United States. 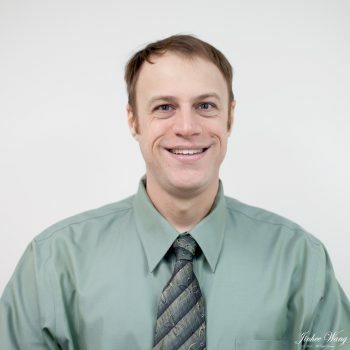 In 2015, Mr. O’Neill and his wife moved back to the United States, settling in Northern Virginia where he retains his knowledge of the Korean language and culture and is excited to once again be involved in his passion for helping local Asian youth via his position at KCSC. Hoonhei Cho joined KCSC in September 2018 as the Mental Health Project Coordinator. Ms. Cho completed an internship with the Department of Behavioral Health of the District of Columbia at Saint Elizabeths Hospital, where she supported individual patient recovery by providing intensive inpatient care for adults. 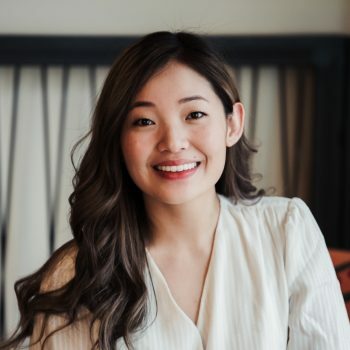 As part of her clinical training, Ms. Cho has worked with different age groups in a variety of settings such as adult groups at Severance Mental Health Hospital, hospice care at the Seoul Red Cross Hospital, and individual practice at George Washington University’s Art Therapy Clinic. Ms. Cho is committed to providing the highest quality of treatment services to improve individuals’ mental, physical, and emotional well-being. 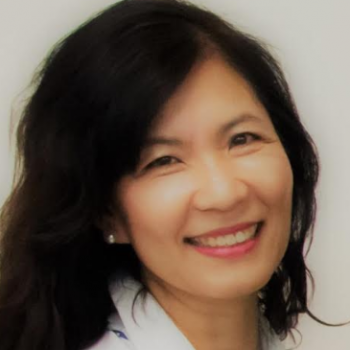 Ms. Cho is responsible for KCSC’s mental health caseload management, crisis intervention, counseling service for groups and individuals of all ages who struggle with depression, anxiety, adjustment, trauma, domestic violence, and issues around life transitions. Ms. Cho counseling practice combines person-centered, integrative treatment with art therapy. Ms. Cho graduated from the Korea National University of Arts with a Bachelor’s degree in Multimedia and will complete a Master’s degree in Art Therapy from George Washington University in December 2018. 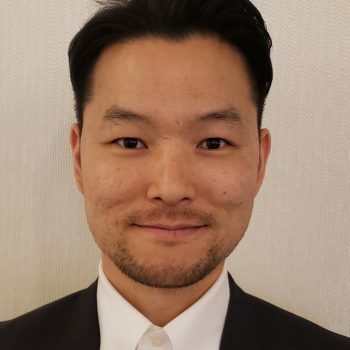 Woolim (Will) Lee joined KCSC in November 2018 with a vision to serve local Asian American communities with diverse needs in social service. Mr. Lee studied economics in University of Maryland and had since worked in the apparel industry in Los Angeles before joining KCSC. Mr. Lee hopes his experience in sales and client services in various business settings progresses as an important asset in fulfilling the Social Service Coordinator position. Mr. Lee has also volunteered in numerous community outreaches and Christian mission programs while taking leadership roles at Los Angeles Onnuri Church. Mr. Lee primarily serves in the Ellicott City branch. Jimin Jeong has joined our team since February 2019. She works as a Domestic Violence Project Coordinator in our Virginia office. Jimin Jeong is responsible for managing KCSC’s supportive housing for victims of domestic violence. She also facilitates a DV Support Group. She works with the other DV coordinators to provide DV outreach and build awareness in the Korean communities residing in Virginia. Na Eun Kim joined KCSC as a Domestic Violence Project Coordinator. In order to raise awareness within the community, Na Eun Kim facilitates DV outreach and education. Na Eun Kim also provides case management and support for DV clients and their families. She studied social work at Case Western Reserve University with a concentration in mental health for adults. She completed her internship at Asian Services in Action providing mental health services and domestic violence case management to the immigrant and refugee population in Cleveland, OH.